But as is often the case in State of the Union addresses, the people who watched tonight's speech leaned more towards the president's own party, at least compared to Americans overall. In the latest CBS national poll released earlier this month, 24 percent of Americans identified themselves as Republicans. Among those who watched tonight's address, that percentage was 42 percent, bolstering the overall approval of the address. And while Republicans approved of the speech, most Democrats who tuned in did not. Nine in 10 Republicans said the speech made them feel proud, while just over half of Democrats said it made them feel angry. Independents who watched the speech – nearly half of whom counted themselves the President's supporters – tended to approve of the speech, and said it made them feel proud. After hearing his State of the Union address, most viewers think the policies they heard tonight would help them personally, though Democrats disagree. On some of the specific issues the President touched upon, most viewers had a favorable opinion of what Mr. Trump had to say about the nation's infrastructure, immigration, and national security. 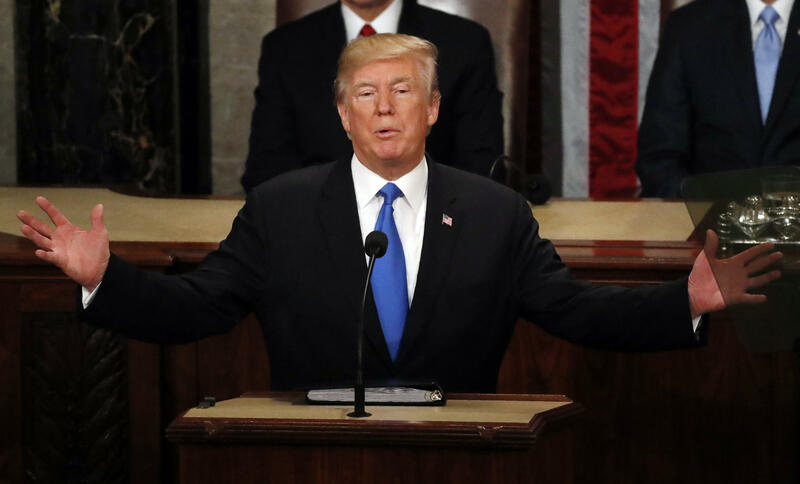 And after hearing him speak tonight, 54 percent of speech watchers give him a lot of credit for the current state of the nation's economy, up from 51 percent before they watched the State of the Union. This CBS News 2018 survey is based on 1,178 interviews conducted on the internet of U.S. residents who watched the State of the Union Address. Panelists were previously interviewed on January 29-30, 2018 to indicate whether they planned to watch the address, and if they were willing to be re-interviewed after the address. Questions asked during this initial interview have the note "Asked before the SOTU address.'' The margin of error is +/- 3.1%.